Make this fun makeup brush holder in minutes with supplies found at the dollar store. 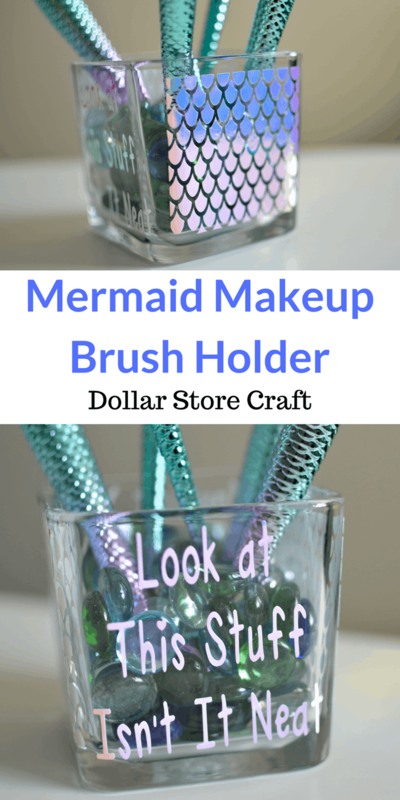 One of my (and my kids) favorite places to shop for craft supplies is the dollar store. Not only is everything only $1 (or less), but the last few years they have really upped their game when it comes to the quality and cuteness of the things they carry. 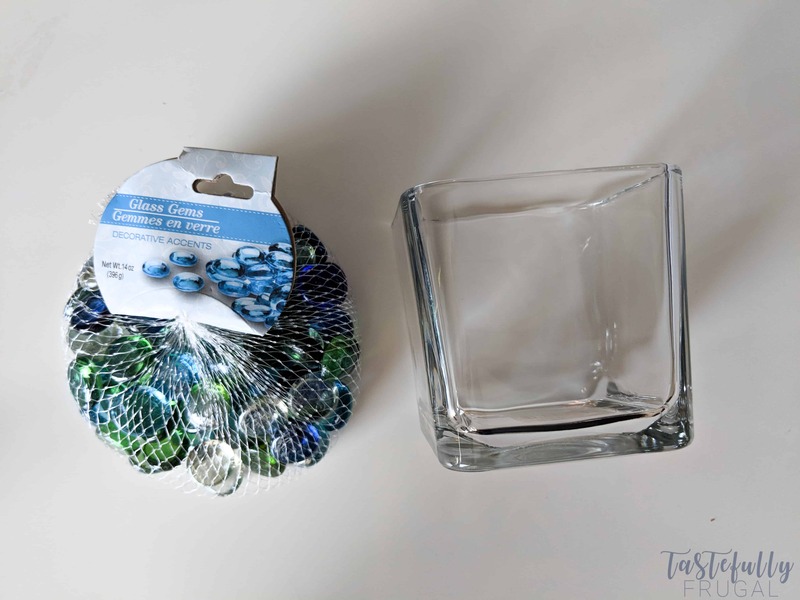 As I was walking through the aisles picking things up for Valentine’s Day, I found this candle holder and colorful rocks beneath and new they would a perfect addition to my otherwise dull and boring bathroom. The inspiration for this makeup brush holder came in the middle of the night one night when I was up with Mahle, my one year old. We were watching Little Mermaid and the song “Part Of Your World” came on. If you’re not familiar with the movie, the song starts out in her little cave with her collection of things she collected from above. She sings ‘Look at this stuff. Isn’t it Neat. 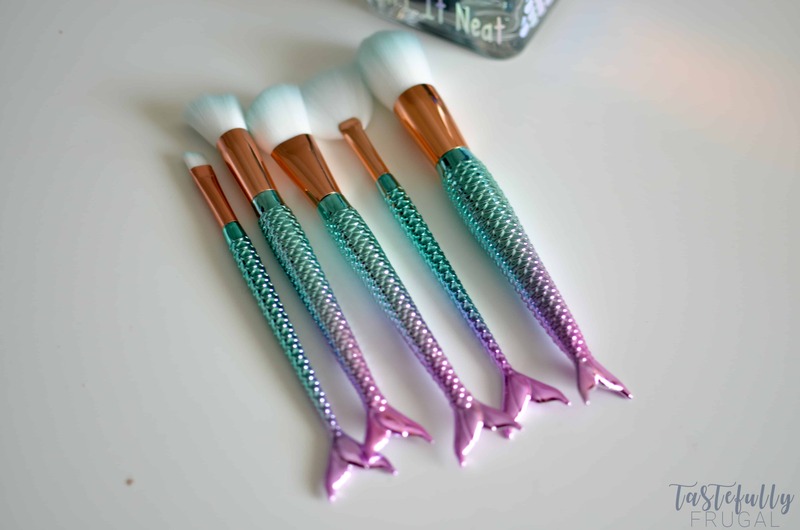 Wouldn’t you think my collection’s complete.’ And that pretty much sums up how I feel about my mermaid makeup brushes. They are so bright and colorful and I only paid like $5 for the set. Unfortunately, I haven’t had a chance to use all of them because I just haven’t had anywhere to store them. So in the box they sat. But not anymore! Thanks to my dollar store supplies and my Cricut Maker they are now displayed proudly and they are easy for me to reach when I’m getting ready. 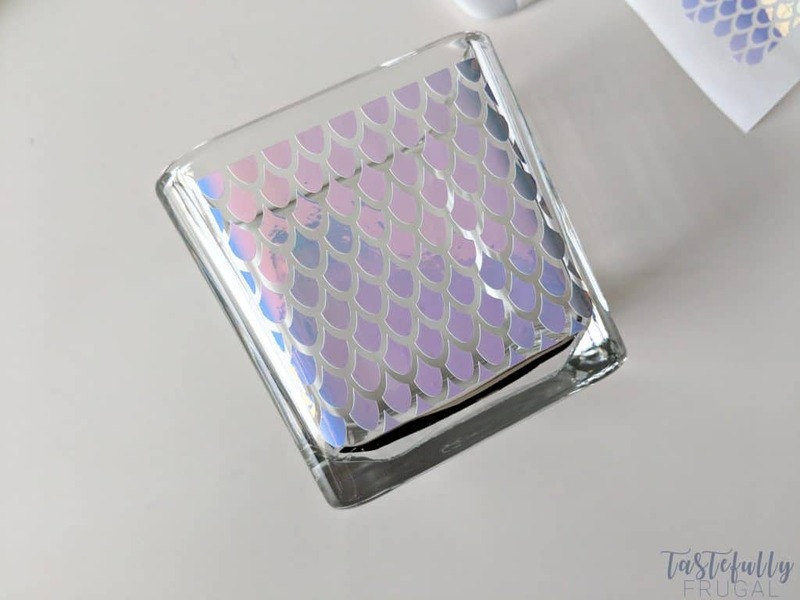 Let me show you how EASY this makeup jar is to make! Measure one side of your candle holder to get the dimensions of how big you need your design. 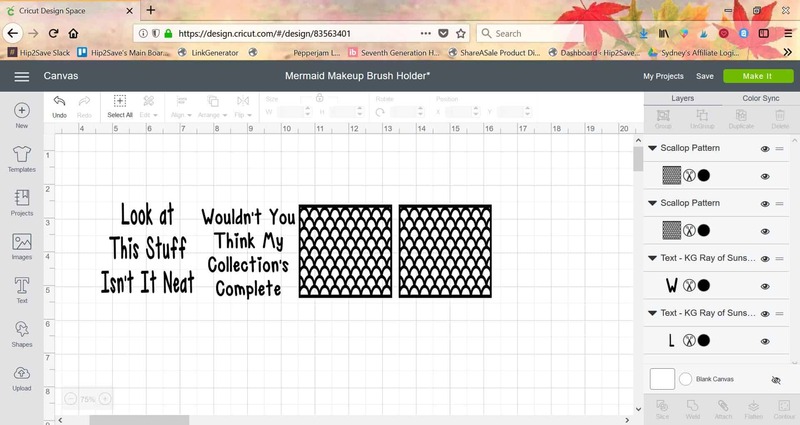 Mine was 3″x3″ so I made my designs 2.75″x2.75″. Open up this design in design space. For the text, if you want this font, you can download KG Ray Of Sunshine for free on DaFont first. If necessary, resize your design. If your candle holder is the same as mine just go ahead and send to print. 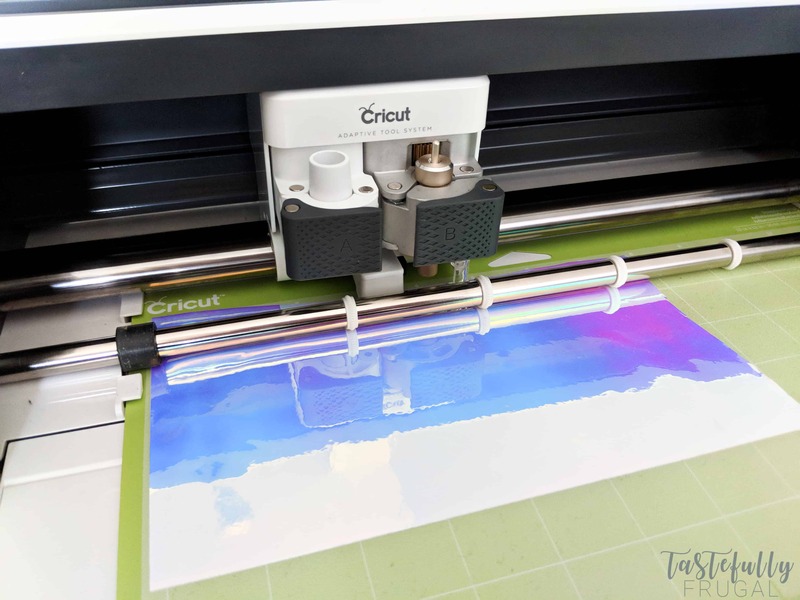 Cut out, weed and apply transfer tape to design (this post has a great tutorial on how to easily and effectively apply, weed and apply transfer tape). Center each design to your candle holder and firmly press down on transfer tape with the scraper tool. Pull up at an angle slowly to remove transfer tape (this way if something isn’t sticking you can easily put the transfer tape back down and add more pressure). Add stones to your jar. 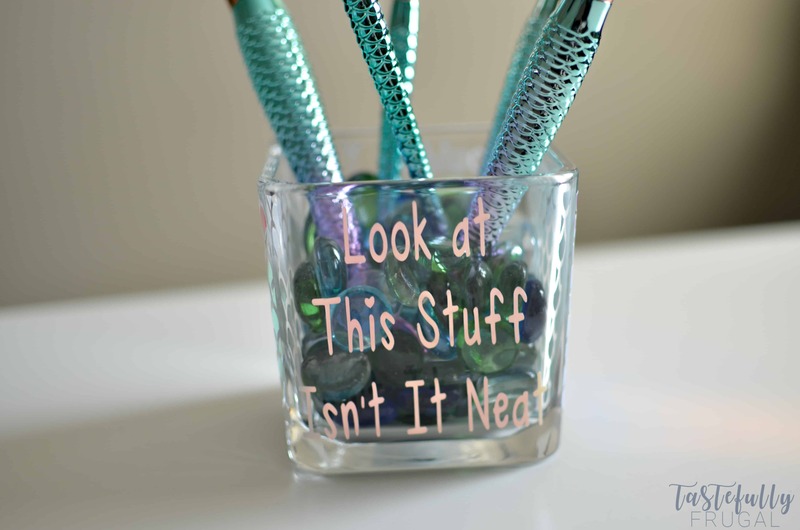 Add makeup brushes to your jar. Look at this project. Isn’t it neat?! I LOVE working with Holographic Vinyl because it looks different from every angle. And, I think, it really looks like a mermaid’s tail – what do you think?! 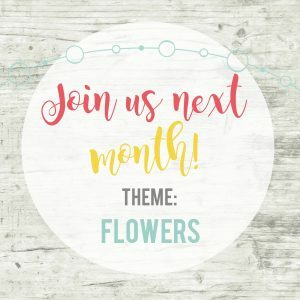 Next month’s theme is flowers! 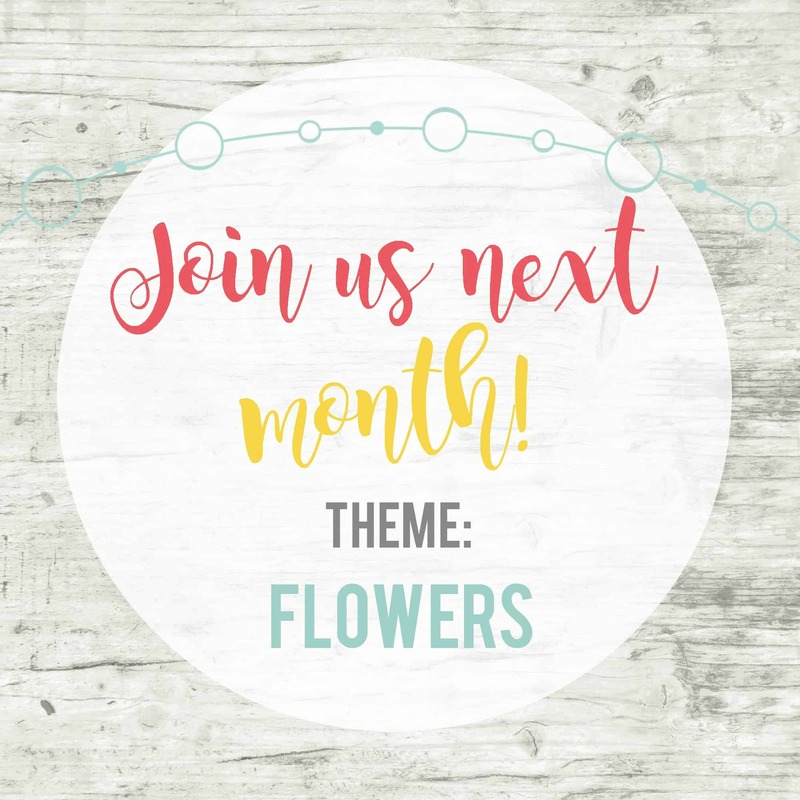 I hope you can join us on March 14th! Cute idea and great organization caddy for girls. Visiting from Inspire My Creativity party. Oh my word my daughter (who is obsessed with all things Mermaid) would love this! Those brushes and your design are absolutely adorable. That holographic vinyl is killer, too! What a darling idea! 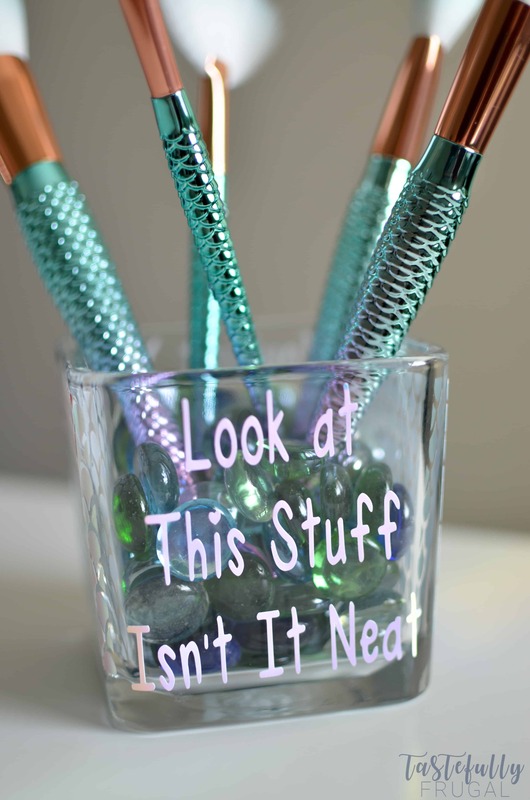 I love those brushes and that’s a perfect way to store them. 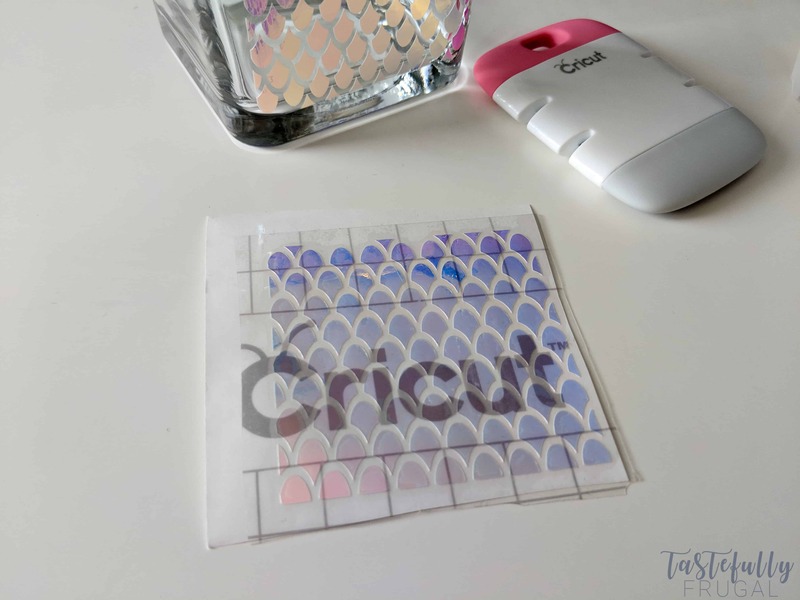 Such a fun project for your Cricut! This is such a cute idea! My daughter is getting some makeup supplies for her birthday next month and would LOVE this. I love everything about this! 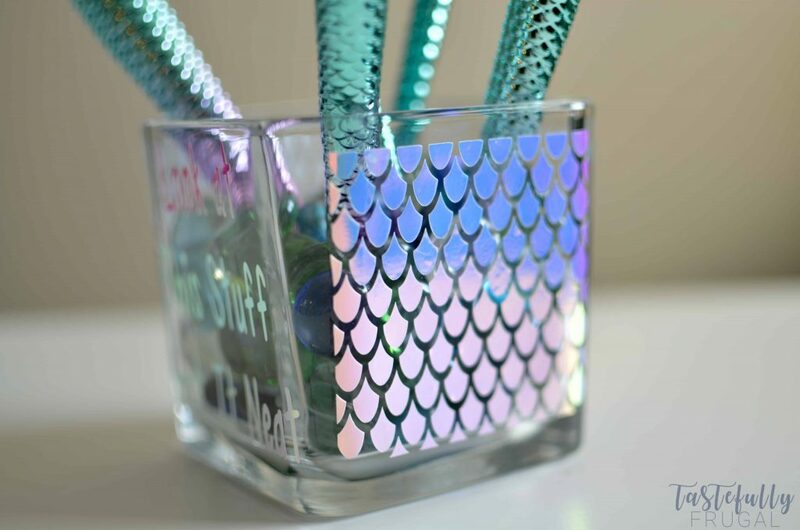 I haven’t worked with holographic vinyl yet but now I’m itching to try it out. My daughter loves all things mermaids and unicorns lately and this would be perfect.